I can see why they played it as neutral as possible and actually take no offense. As parents, we teach our kids about Christmas and its significance. 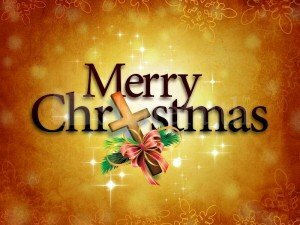 The USA Today recently wrote a great article: Where is Christ in Christmas? “The focus on peace and giving gifts allows you to safely focus on nice things instead of the idea that God sent his son Jesus to be Christ, who dies on a cross. It’s human nature to want to take the ‘nice’ without the ‘truth,’ ” says Ed Stetzer, director of LifeWay Research in Nashville. The percentage of U.S. adults who say they have no religious identity has more than doubled, from 7% in 1990 to 15.2% in 2008, says sociologist Barry Kosmin, principal investigator of the American Religious Identification Survey and a research professor at Trinity College in Hartford, Conn.
Data from Christian trends researcher Barna Research in Oxnard, Calif., finds the long-familiar bump in Christmas church attendance is mostly somewhat-regular attendees coming in from the cold more often. Interfaith marriages — in which couples often blur or ignore religious differences — have increased from 2.9% of U.S. adults in 1973 to 8.5% in 2006, says Tom Smith, director of the General Social Survey for the National Opinion Research Center at the University of Chicago. The Pew Forum on Religion & Public Life found that more than half of U.S. Christians (52%) today do not say Christianity is the exclusive path to eternal life. This is a good collection of statistics on our culture and makes me wonder about the effectiveness of our evangelism training and our witness as Christians. Some churches are growing, some churches are dying, but the net results are a overall decline according to this information.